Exotic getaway! 7-night stay in top-rated apartment in stunning Mauritius + flights from London from only £396! Last minute! 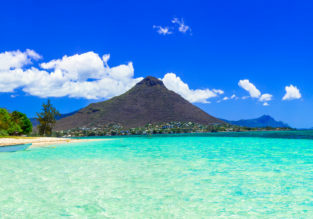 7-night stay in top rated apartment in Mauritius + non-stop flights from Zurich for only €297! Exotic getaway! 14-night stay in stunning Mauritius + flights from London for £449! Exotic escape! 2 weeks in top-rated studio in stunning Mauritius + flights from Norway for only €325! 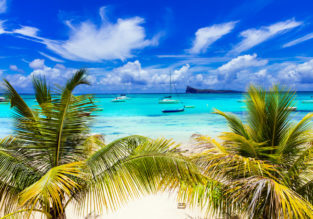 14-night stay in top-rated hotel in stunning Mauritius + non-stop flights from London for £443! Holiday in Mauritius! 11 nights at top rated apartment + full-service flights from Prague for only €519! CHEAP! 14-night B&B stay in top-rated aparthotel in Mauritius + direct flights from Copenhagen for only €391! WOW! 7-night stay in top-rated studio in stunning Mauritius over Xmas Eve + flights from Stockholm for €299!